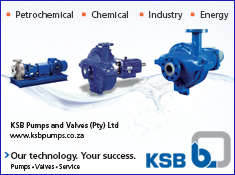 Vogel was a well-known personality in the mining and manufacturing sectors, having acquired Joest South Africa in 1988. It was then a small company importing motors from Germany for the assembly of small vibrating equipment. He built this modest business into a fully independent local original equipment manufacturer (OEM) which was rebranded as Kwatani in 2016. 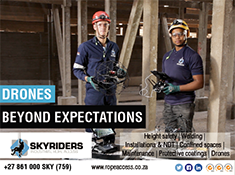 With its focus on ‘engineering for tonnage’, the business has become an industry leader in vibrating equipment solutions through South Africa and beyond. Born in Germany in 1944, Gunter Vogel studied mechanical engineering before coming to South Africa as a young man in his early twenties. Colour-blindness had denied him a career as a pilot, but he pursued his engineering career with passion and ingenuity. According to his daughter Kim Schoepflin, Kwatani’s chief executive officer, he also loved mathematics and was convinced that everything had an engineering solution. An enthusiastic reader and philosopher, Vogel also loved adventure and the African bush. Perhaps his most daring trip – together with his wife Maria – was by Landcruiser from Johannesburg to Hamburg, Germany. The 30 000 km trip took them seven months, and traversed 29 countries on three continents. “Being an exceptionally ethical man, he always fought for what he believed was right,” says Schoepflin. “He stood by his word and did not subject himself to any rules or regulations that he did not believe in. He remains a legend in the industry in which we operate.